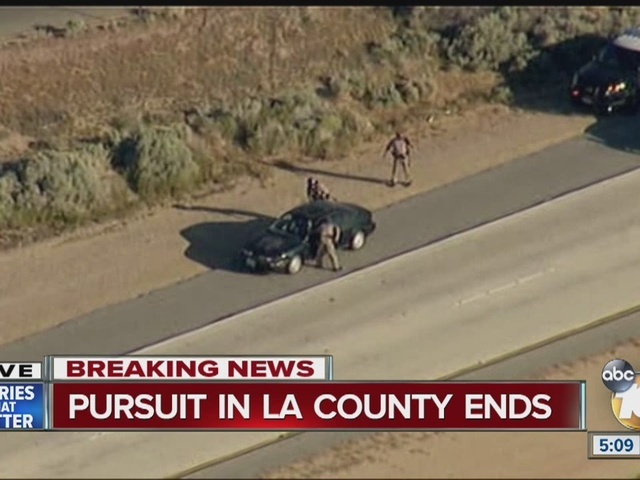 The driver of a car that was being chased by officers on the northbound Antelope Valley (14) Freeway in Lancaster finally stopped and officers have taken him into custody in the area of Avenue G.
The man is reportedly a domestic violence suspect. 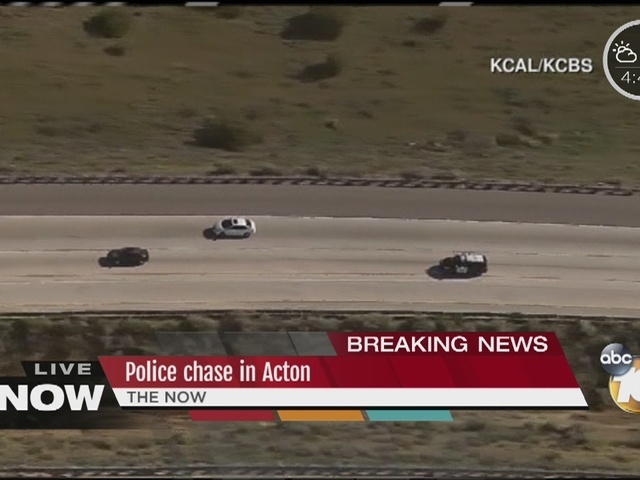 The pursuit began in Kern County. At times, the pursuit reached speeds of about 110 miles per hour.